With Batman v Superman: Dawn of Justice set to have a major presence at Warner Bros.' Hall H panel this Saturday at Comic-Con, Deadline reports that Ben Affleck is teaming up with DC Comics' chief creative officer Geoff Johns for a Untitled Batman Reboot. 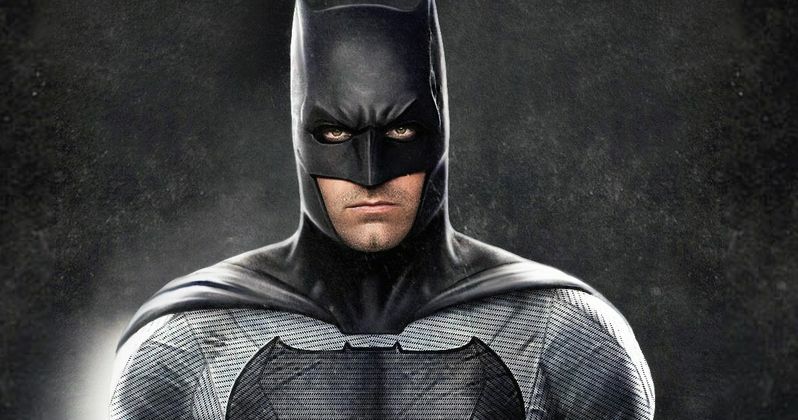 The plan is for Ben Affleck to direct and star in the new Batman movie after he directs and stars in Live by Night, which Warner Bros. has set for release on October 7, 2016. Ben Affleck will also co-write the screenplay with Geoff Johns. Just last month, a rumor surfaced that Ben Affleck is planning on starring in and directing a solo Batman movie for a 2018 release. However, that report claimed that Batman v Superman: Dawn of Justice screenwriter Chris Terrio is handling the scripting duties. That doesn't seem to be the case. Ben Affleck and Geoff Johns are reportedly so in sync that they could have a draft of the screenplay completed by the end of this summer, before the actor-filmmaker starts shooting Live by Night in November. The story would reportedly "reflect the Batman character that emerges after Batman v Superman: Dawn of Justice and Justice League Part 1." Despite the earlier rumor of a 2018 release, it isn't known when when Warner Bros. may release this project, but 2018 could be feasible, since it comes between Justice League Part 1 and Justice League Part 2. It's possible that Warner Bros. may officially announce this project during their Hall H presentation, but that has yet to be confirmed. The studio has often dropped major announcements at SDCC in the past, Batman v Superman: Dawn of Justice itself at the end of their 2013 panel, and offering the first glimpse of footage during last year's presentation. Are you excited that Ben Affleck may get to star in and direct his own Batman project within the expanding DC Comics superhero movie universe?